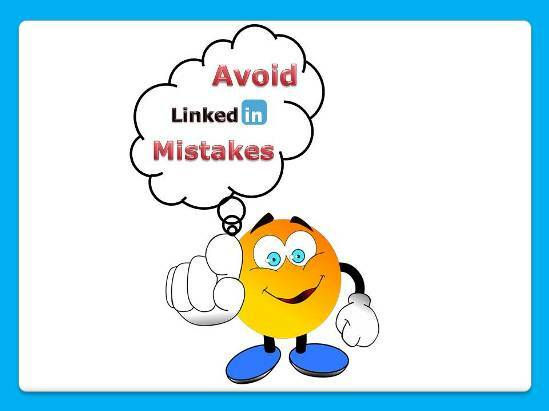 You’re way too good to be making these LinkedIn mistakes! Do you have a LinkedIn account? It does not matter whether you are a college student or a person happy with his job – LinkedIn is for everyone! Surely, having an account in itself isn’t enough – one needs to keep it active by sharing useful stuff and connecting with people that matters. LinkedIn is more professional than any other social media platforms and you must link it with your other social media accounts like Facebook etc. to make the most out of it. 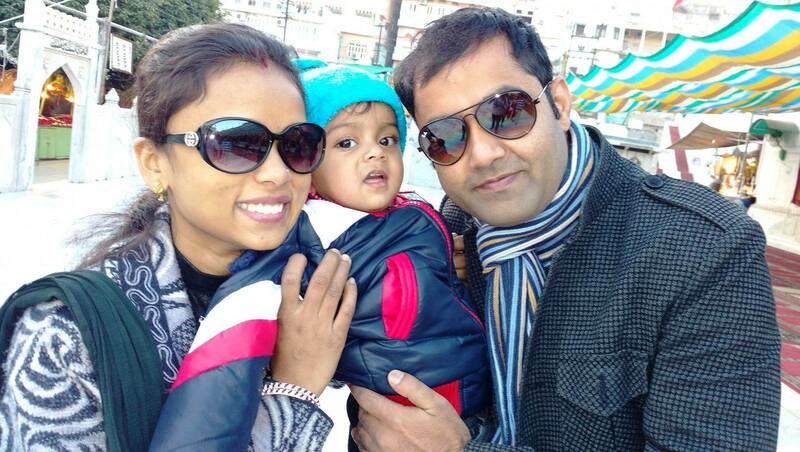 A well maintained LinkedIn profile makes you more professional in your corporate world. LinkedIn provides you much better platform for achieving higher payable jobs among all of the social media networks combined. It also helps you in finding potential employees for your firm and keeps you up to date with the corporate world trends. Filling out your job title, continuously making effort to create more connections and unnecessarily inviting more persons could harm your professional presence. Just fill out your LinkedIn profile with the important information, make thoughtful connections and always try to participate in groups and discussions. These fundamental methods if followed by you will take your professional presence and career to a whole new level. A LinkedIn account without a profile picture get less views compared to an account with an appropriate profile picture. Think it like this, if a product is on sale without having its photo it is assumed that there is something wrong. Many studies have shown that profiles with relevant pictures get 14 times more views. Nothing makes you more professional than LinkedIn in the world of social media and a user without a profile picture is considered as unprofessional, lazy and a below standard person in his profession. Also add a background picture to your account and the picture must be professional and relevant. The profile picture is your face to your LinkedIn network and the world. Having an appropriate profile picture is also a key for your success. LinkedIn is not Facebook or twitter, so don’t use your vacation pictures, pictures of your dog or with anyone else. Just click a professional photo in a well dressed outfit and try to put a background that isn’t messy, distinct or busy. Your LinkedIn profile is your digital identity and always tries to make it professional to get more appeal in this corporate world. It doesn’t matter whether English is your first or second language you must fill your correct user name, job titles and company name. Misspelling or typos in your bio will give absolutely wrong message to the network. The errors on your bio will surely ruin your first impression. All the information given in your bio is great but if there any grammar issues and misspellings, these will harm your credibility. LinkedIn does not have any grammar tool or spell checker but there is a lot of options available in the browser. Your LinkedIn profile is identical as your paper resume thus, always put an extra effort to create a positive impact among your connections. If you want enough response with your connections you must make your network of connections targeted to your interests. It may be difficult for some users to connect with their past employees as they feel shy, but this would be a great mistake. You should always make efforts to maintain these valuable connections. Always prefer those connections that belong to your work field to build a healthy relationship. Don’t use the LinkedIn connecting messages instead of making your own personalized messages for connecting with others. LinkedIn is all about networking and you must pitch an impressive invitation to connect. Always try to give a reason to invite for the connections. A personalized and polite message with a brief explanation of reasons for connecting will be great. If your invitations are rejected most of the time, then LinkedIn may provide you limited no. of invitations, so always be sure to target correct people. Don’t forget your LinkedIn account after creating it. I am not suggesting you to share your personal photos or stories as you share it on Facebook, instead of that – sharing your photos of official events will be great. Keep your profile updated through your photos, comments and posts in your professional world. Do it at least once a week and share it with your network. You can join discussions by commenting on other people’s posts or share your ideas via your own posts. You have to show up and be active in your network and the simple way is to be updated. Show your ideas through the posts on those topics related to your strength and this will help you to make the expert on that particular work field. Your posts will get numerous views from professionals and that will be great for your career. A common mistake made by users is that they only update their profile when they are looking for a job. In that way this activity gives an indication among their colleagues and boss that they are looking for another job. If you keep updating your profile and share things consistently, other activities will mix better. LinkedIn is obviously a social media platform for making connections with the professionals and organizations. It will surely help you finding an appropriate job. If you want to hire someone for your own consortium, you may find many people eligible for that particular post. LinkedIn is not a place for sharing personal photos, events or even photos with your life partners, pets or anybody else. Keep those unprofessional posts for other social media platforms. It is also not a proper place for writing columns or posting business related advertisements. These mistakes will make you look very unprofessional. It is not Facebook or Instagram and such things are inappropriate for personal comments. Although, if you comment on the post of your network, keep it professional and always try to prevent blunders. LinkedIn provides a personal URL to every user which is pretty long web address. Customize that provided URL to a unique LinkedIn URL with your personal address and always prefer your name. Avoid cute usernames and nicknames for creating your LinkedIn URL. Your personal URL will surely provide you consistent branding. You can easily advertise your LinkedIn profile with the help of your customized unique URL. Once creating that unique URL it can be used on your business card and resume. Your personal unique URL will give indications about your seriousness in your network and they may assume you as a person with nice command in LinkedIn features. You can create your unique LinkedIn URL with the few simple steps. Don’t share any content related to political rants, criticism or even don’t try to criticize any LinkedIn user. Never take the discussion to the personal level even if you have been fired or did not get the post you are eligible for. Unnecessary arguments will harm both of the users and it will surely leave wrong sign among the professionals. You can’t imagine how bad it is to criticize anybody in social media platforms and especially in LinkedIn. Your digital identity act as your digital resume that surely helps you to grab better job options and exploitation will harm your professional career as well as others. Nobody wants a loser in its team and unnecessary criticism will diminish your ability. A well mannered and well qualified employee will be the first choice for any company which includes your social media manners. Every user in LinkedIn has its own digital identity and nobody wants to ruin their professional influence. So, leave those discussions that are none of your business. However if any comment is positive which can enhance your profile, then feel free to make that comment a focus of your next post on the Linkedin Pulse. I think the word summary is not enough; it is more than a summary. Summary is just not sharing your work experience; you can share your volunteering experience, previous organizations you have worked on, projects you have taken part, honors or credit you have received. Every user must have a well thought, to the point, concise and short summary in their profile. They can add something personal about themselves focused on their passions and strengths. It also helps in finding other viewers about your current and past working experience. Don’t add a summary written by others, be original and share your own experience. Don’t let the viewers to consider your summary as some computed and automated stuff. Try writing something original and unique that others want to hear about you. A summary must not be an extremely long para, breaking it into small parts will make your summary more effective and its readability will improve. The summary section of your LinkedIn profile behaves like your resume’s summary, so always try to put all of your abilities and skills in this section in an upbeat and exciting way. It a universal truth that the LinkedIn is more professional than any other social media platform but it isn’t just for the professionals or job seekers. There is a big perception that a person use LinkedIn when he is hunting a job. Because of this perception many people don’t even try to use LinkedIn. If you haven’t made an account and thinking that this will encourage the gossips that you are looking for a new job is a common perception. Don’t worry you won’t be fired for just creating a LinkedIn account. Just be prepared for the future and creating a quality network will surely help you. Even if you are studying and mature enough, you can use LinkedIn to create your own unique network. Whenever you will be able and eligible to hunt job or looking for new clients the relationships made on your social network will prove to be handy. The platform provided by LinkedIn is useful in making connections and healthy relations. LinkedIn is no doubt great for networking and this platform offer users to meet new people, learn new things and also give a chance to explore the atmosphere of the corporate world. If you make a fake bio in your profile, there is also a higher chance to be caught. LinkedIn is all about network and connections. The fake reference, fake skills and degrees added to you profile will be huge blunder among the professionals. This may end the chances of getting jobs through social media networks. The recruiters will use LinkedIn network and references to check your details given are authentic or not. Your list of skills and abilities may be questioned or tested. If you are applying for a job in the UK, there are ways to get a UK Address which you can use in your LinkedIn profile and your website too. This is usually a mailbox address that can be used for offline mails and parcel, in case the company where you apply for the job – sends your joining letter or any other important document by off line mail, MyUKMailBox can receive those on your behalf and forward them to you, anywhere in the world you want. The world of social media is like an iceberg, it is more than it appears. You even can’t imagine how these social networks are influencing the global market consistently. Every year the number of internet users is increasing continuously. It is not just about sharing pictures or views, social media plays a vital role in the global issues and development as well as it has a great impact in people’s daily life. Social media provides huge platform for business to build a network among customers as well as it helps in building your brand image. Social media tactics are essential in creating a worthy network and one should always try not to make mistakes. The mistakes mentioned above are surely going to help the users understand LinkedIn better and minimize their own mistakes. Finally let me know in the comment below how did you find this post. Yes, if you like this post then please share it with your friends or with somebody who you know will get benefit from this post. 5 Tips To Get Better Results With LinkedIn Ads!